Not long now. Looking fwd to meeting you all again. Cannot wait 😄. See yall soon. I watched it fine. Very interesting vid indeed. Boatyman ( Andy ) Brinks Encore 1 1 Sat/Sun I'll be bringing Bog Roll man ?? OK folks. If ya wanna start making a list.for the Spring meet. I have full details. 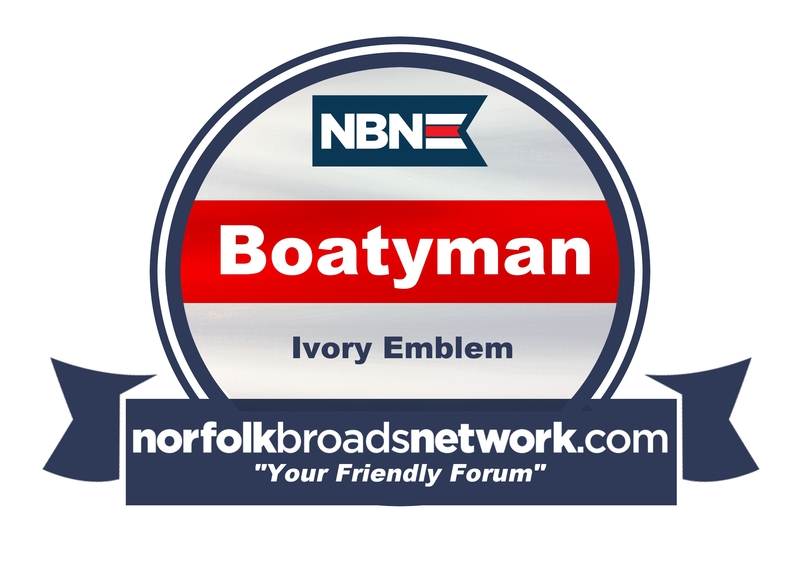 Please reserve a mooring for Boatyman Sat/Sun Brinks Encore ??? Hi Polly. If you need names then please put me down for the Spring meet Boatyman AKA Andy. I'll be there on the Sat and Sunday 18th/19th May 2019. I'll let you know what boat in due course. If you could book me a space as we did last year that will be great. Hope all is well ?? Looking forward to seeing you all again. May be I should re phrase that. If any WOMAN wants to marry me ???????? I'm arriving solo. So if anyone wants to marry me and wear a wedding dress I'm free ?? Can anyone confirm my place at Salhouse please. Has my name been put on the list of happy boaters for the meet? Hi all. I can now confirm my boat name for the Spring meet. Boatyman Brinks Belmore Saturday and Sunday on my own, may be someone will love me and will come along. looking forward to it. Hi all. Put me down to be their. At moment have no boat name as will book a boat in the new year like I did last year. Will most probably be solo. No one loves me ? Will update when can. LookING forward to it. Was great last year. Boatyman replied to robncaz's topic in New Members Say Hi !